Samyang 8 mm f/3.5 Aspherical IF MC Fish-eye je visoko kakovostni širokokotni »fish-eye« objektiv. Objektiv je namenjen Samsung NX fotoaparatom. 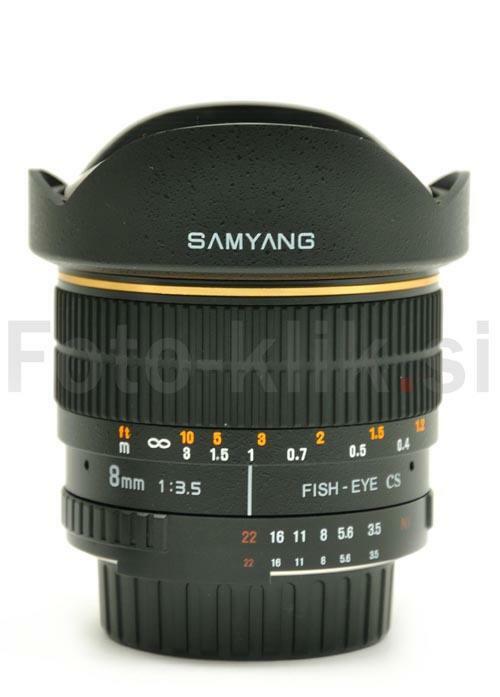 Samyang 8 mm f/3.5 Aspherical IF MC Fish-eye lens is designed for APS-C image sensor, that means that it is compatible with APS-C sensor Samsung NX cameras. 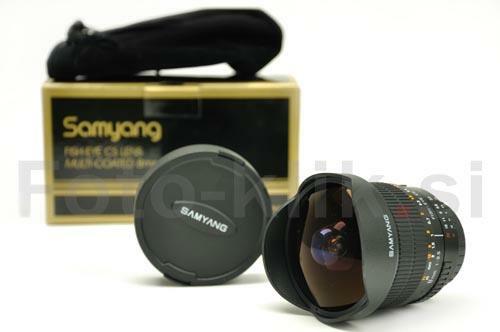 Samyang 8 mm f/3.5 Aspherical IF MC Fish-eye for Samsung NX creates images with an expanded perpective, including images with a creatively deformed outlook and a sharp pan focus that extends throughout the entire frame. By offering 180 degree angle of view, thisSamyang 8 mm f/3.5 Aspherical IF MC Fish-eye lens can be used to create amazing image expressions that cannot be seen with the human eye, such as exaggerated perpective and disortion. The minimum shooting distance and large depth of field gives new meaning to close-up shots. Extra feature: 1 aspherical lens, build-in lens hood.